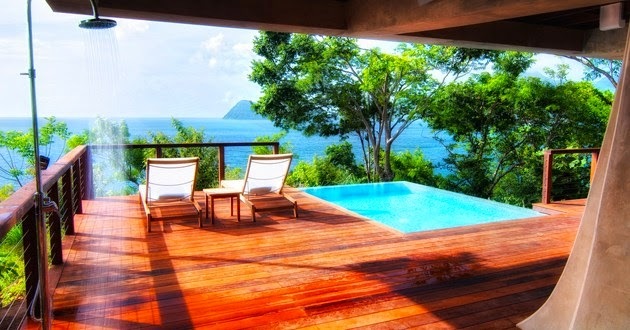 Tucked away in Dominica, West Indies is where you will find one of the best boutique hotel resorts in the Caribbean. Secret Bay, named as one of the top honeymoon destinations by The Knot, overlooks the Caribbean Sea atop a cliff-top. Secret Bay is home to sustainable private luxury villas and bungalows, all with their own pools and Jacuzzis. With two beaches, the Cario River, and a sea cave, Secret Bay gives guests the ultimate tropical vacation. From fresh, local organic food, secluded villa pools and Jacuzzis, hammocks to read or take a nap in, and private massages and yoga in your villa, Secret Bay is your stay for a relaxing vacation. 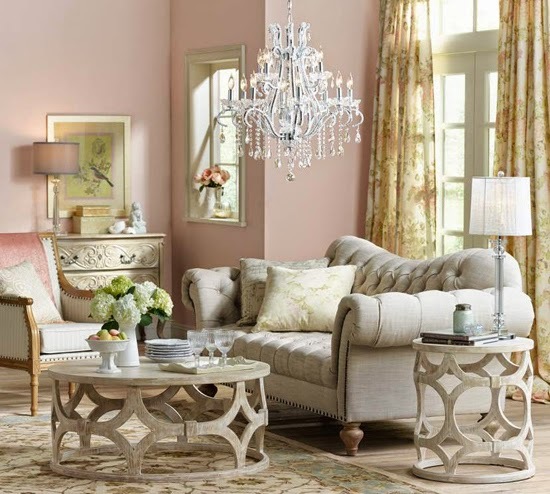 From distressed finishes to chalky pastels, the rustic feel of French décor has long been used in many homes to bring a certain sense of femininity to a space. The focus is now shifting from the crisp blues and luxurious whites, to softer finishes of pastels that evoke a touch of gentleness. Chalky blue and cotton candy pinks are either taking over rooms completely, or being found in accent pieces. The softness and charm of these colors, along with cream and champagne finishes, create a delicate and romantic atmosphere for you and your guests to relax in. Along with the chalky pastels and soft creams, another common focal point in French décor focuses on the tufting of headboards, chairs, and benches. This beautiful finish is a simple way to add elegance and luxury to your space. What is your favorite design aspect of French décor? 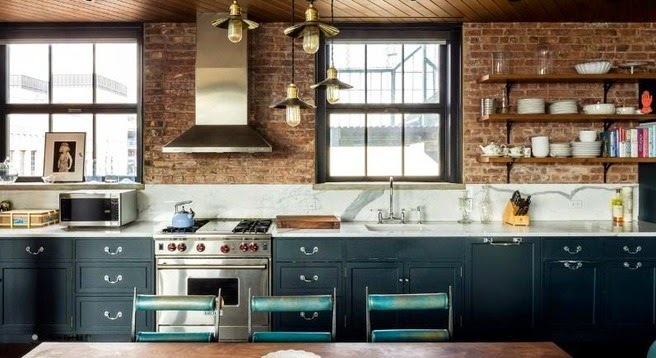 Located in SoHo with beautiful loft views of the Hudson River, is the 2,200 square foot, two-bedroom New York City penthouse apartment of Kirsten Dunst. For lease for $12,500 a month, Dunst’s loft apartment comes furnished with modern and antique pieces. With exposed brick walls, the loft located in a prewar building, also comes with an updated kitchen that includes marble countertops and high-end appliances. With arched windows and high ceilings, would you want to lease this beautiful loft?